For the first time in a while there is a joint photo with Antoine Arnault on Natalia Vodianova's Instagram. If we take all the members of a large family of Natalia Vodianova, most often she shares photos of her children. In turn, she rarely posts photos with her husband, so fans rejoice every time they see Natalia in the company Antoine Arnault. A few days ago, shortly after the publication of the tender photo with her mother Larisa, Natalia has posted a photo of her beloved spouse. 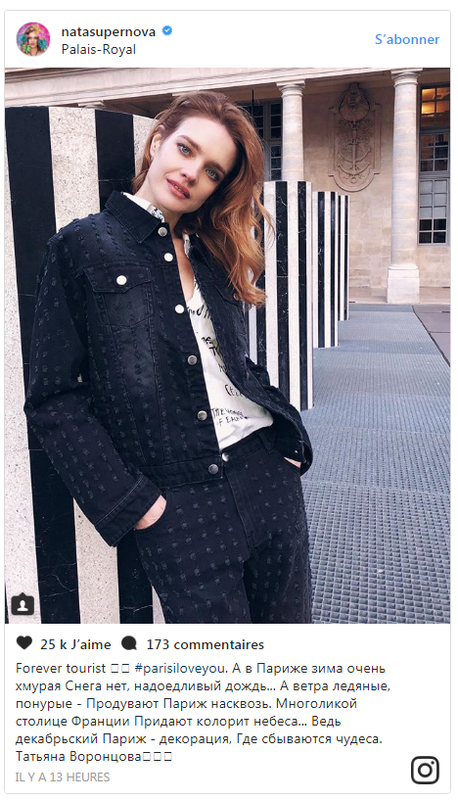 In the picture, shared to Instgaram, Vodianova and Arnault are seen walking through Paris holding hands and look very stylish and harmonious. "I do not want to brag, but I think we look very cute together. What do you guys think?" - wrote under the picture happy Natalia Vodianova. ​Recall that the Russian beauty gave birth to her fourth baby from her civil husband, French businessman Antoine Arnault on May 2, 2014. The couple also has a younger son, Roman, who was born on June 4, 2016.